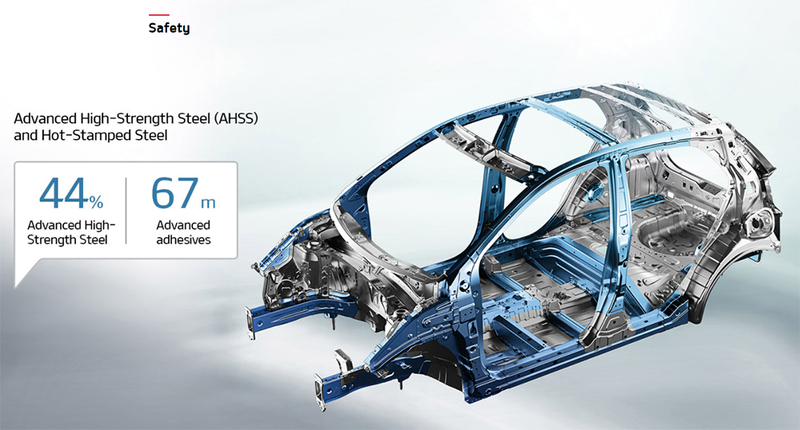 World Auto Steel (WAS) is currently running the ‘Steelyourworld’ campaign to highlight the benefits of advanced high-strength steel (AHSS) as an automotive material. A part of the WAS campaign ‘Steelyourstrength’, focuses on the durability and the weight of vehicles. One of the most competitive fields in the world, the automobile industry is currently eyeing two major issues in car body development: passenger safety and fuel efficiency. Competition is fierce between automakers to develop improved technology to make car bodies lighter, thus maximizing fuel efficiency and safety. The introduction of new environmental regulations as well as growth in popularity of electric vehicles has further thrust this focus on lightweight, high fuel-efficiency vehicles into the limelight. 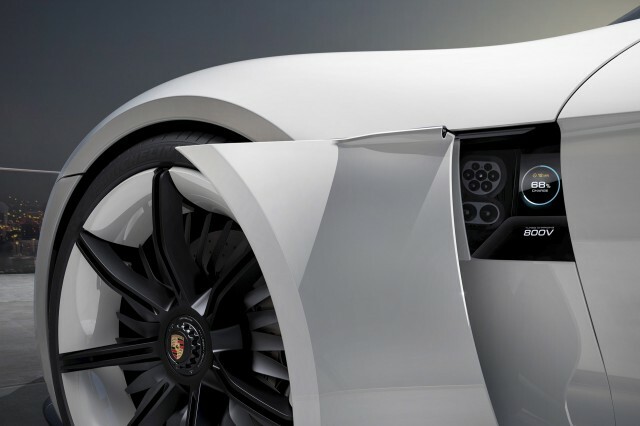 Then, what resources would be considered for manufacturing future automotive frame? 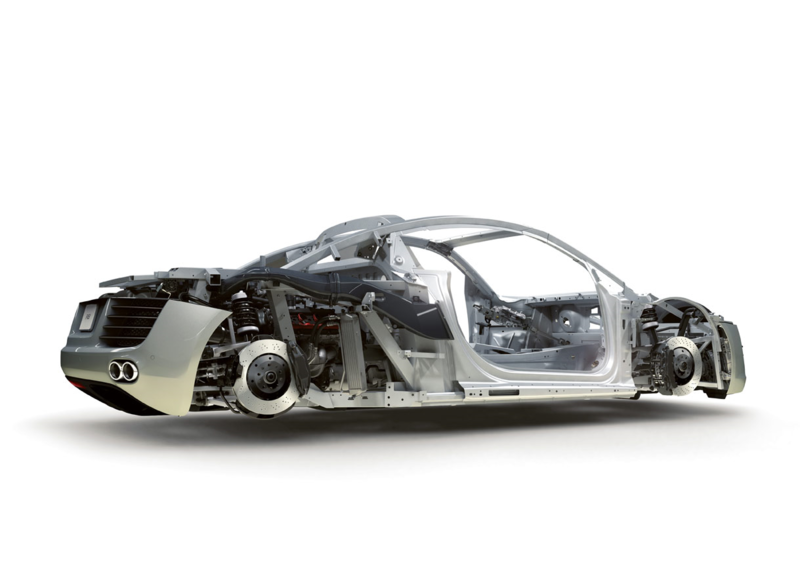 In the development of lighter vehicle bodies, steel still remains as an ideal option for the future of automotive frames. In fact, as new steel materials with higher strength capacities and lighter weights continue to be developed, other materials such as aluminium are being left behind due to certain drawbacks. The future of steel is expected to deliver even lighter yet stronger designs, thereby further reducing a vehicle’s carbon footprint. In line with this trend, and with its unique strengths in durability and weight, AHSS as an alternative material in vehicle frame development has become a particularly hot topic in the industry. 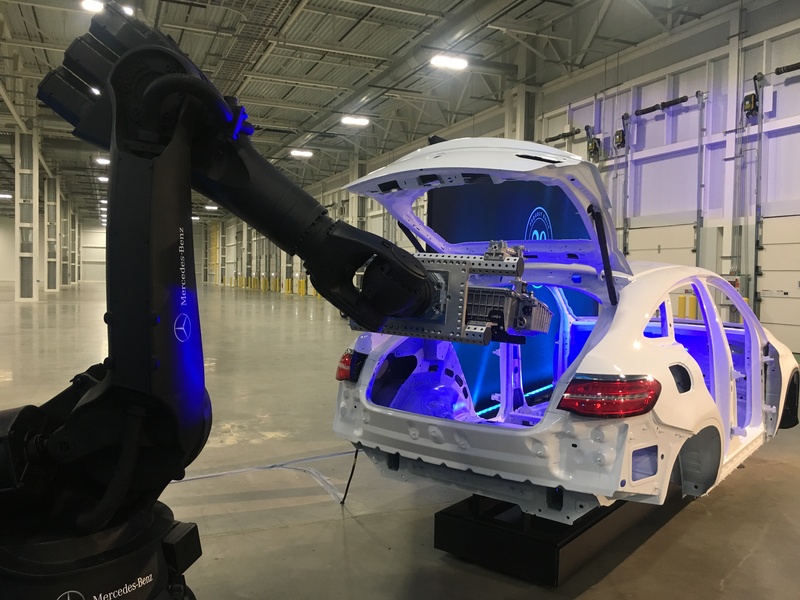 Automakers are making significant investment in cutting edge research to discover technologies that reduce vehicle weight. This ensures they are effectively responding to the global trend of increasing standards for fuel efficiency, with a lighter weight the most effective method for improving car fuel efficiency. 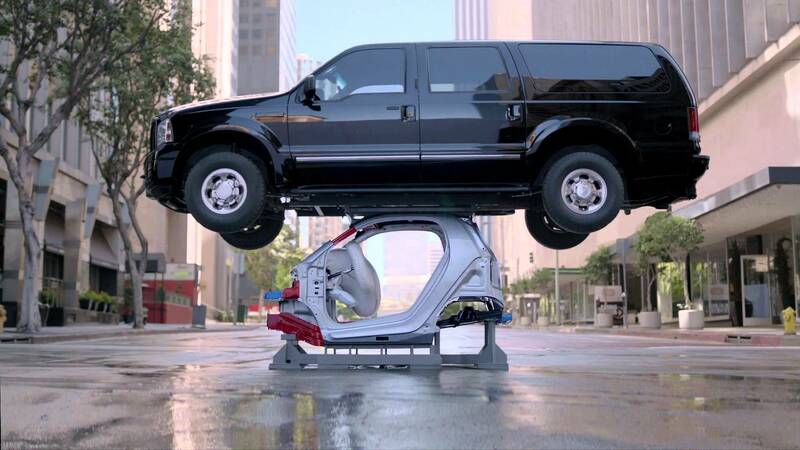 Specifically, when vehicles are 10% lighter, fuel efficiency rises by 3.2%. In addition, acceleration performance increases by 8.5%, steering capability is 19% more effective, durability, 1.6 times higher, and carbon dioxide emissions are reduced by 3.2%. 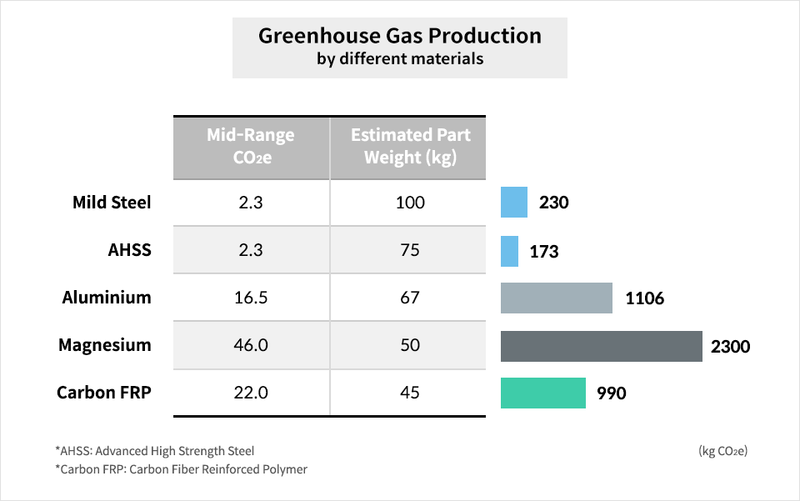 Statistics like these back why steel should be considered as a future material for manufacturing vehicle frames, and for its part, AHSS shows impressive results when it comes to reducing carbon emissions. To elaborate in more detail, the choice of material for even the same automotive part can have substantially different environmental impact, which can offset any weight benefit the specific material might offer. While there have been debates in the past about the best lightweight material, almost every car showcased at the North American International Auto Show (NAIAS), including the 2018 Car of the Year, was clad in AHSS and significantly lighter than its predecessors. For example, the all-new 2019 Chevy Silverado comes armed with plenty of steel, with 80% of the vehicle consisting of a higher-grade alloy in the roll-formed, AHSS bed floor. This makes the bed more functional and lighter in weight, resulting in a 450lb/204kg weight reduction. Overall, while the all-new Silverado is taller and seven inches wider than before, it is also 450 pounds lighter with a 10% increase in torsional rigidity compared to the previous model. 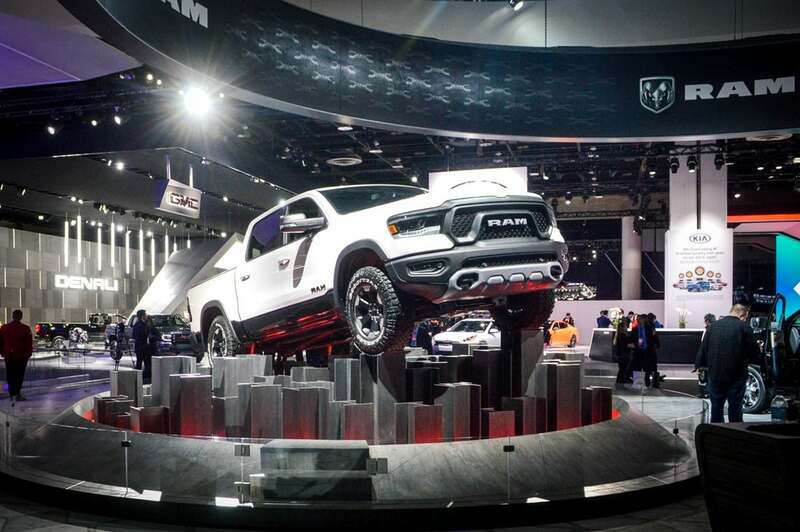 In another example, the 2019 Dodge Ram 1500, which was also unveiled at NAIAS, utilizes 54% AHSS in the truck bed and cab, and 98% in the frame. The use of AHSS helped to give the Dodge Ram a 225lb reduction in weight, along with a fuel efficiency increase of 25%, and 20% towing capacity improvement. While car bodies need to be lighter to improve fuel efficiency, durability can be affected if the body is made too thin. In terms of safety, durability, and weight, AHSS, is helping the car to evolve. A key reason why the automobile industry continues to focus on steel products is due its strength, and with ongoing advancements, the strength of steel has increased from 270 MPa over the past 20 years to about eight times the strength of 1 MPa, which can withstand 10 kg per ㎠. According to Kia Motors America, the structure of the all-new Kia Sportage is significantly improved due to the extensive use of AHSS. With 51% of the Sportage’s body-in-white consisting of AHSS versus the outgoing model’s 18%, torsional rigidity has improved 39%. 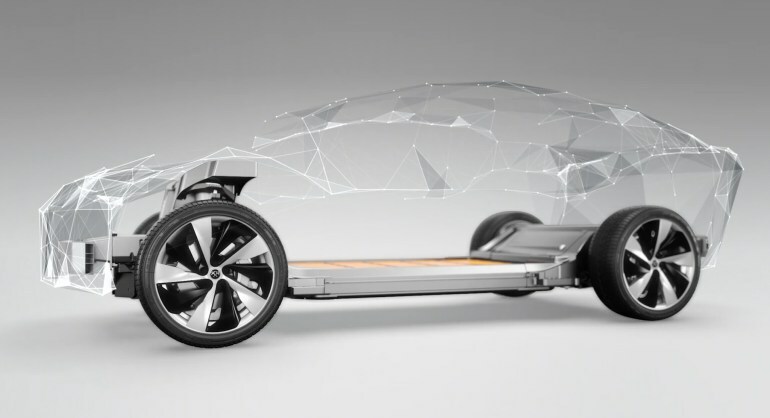 Plus, the structure of the 2019 Kia Forte redesign includes 54% AHSS, improving safety and increasing torsional rigidity by 16%. With ongoing and rapid improvements in both weight and strength, steel is figuring predominantly into efforts to manufacture future high-quality vehicle frames, as well as bringing new life to the automotive industry to allow it to continually thrive in the future.